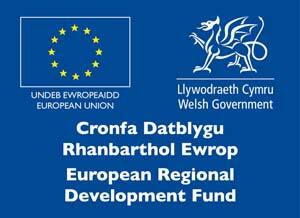 The West Anglesey Demonstration Zone is one of several around the United Kingdom which have been leased out by The Crown Estate in a bid to encourage and accelerate technology development. Each of the zones were identified because they offer appropriate wave and tidal energy potential and access to necessary infrastructure, including ports and electricity grid. The Anglesey Zone was primarily selected for its tidal resource. Morlais is a Menter Môn project which aims to benefit local communities, the economy and environment through generating renewable low carbon electricity using Tidal Stream Energy. The project manages a 35 km2 area of sea bed known as the West Anglesey Demonstration Zone following its appointment as the managers by the Crown Estate. As the Third Party Manager we will manage and sub-let areas within the zone to Global Tidal Technology developers and we will work with them and other partenrs to develop the zone and also to develop and utilise the local supply chain. The first stage of the project looks to secure consent for the development of the demonstration zone. The second stage will put the necessary infrastructure in place for developers of tidal stream energy converters to test their technology on a commercial scale. Morlais has the potential to establish Anglesey as a world leading centre for marine energy generation. The West Anglesey Demonstration Zone is an area which has been identified by the Crown Estate as being a suitable location for the installation of marine energy devices in the short to medium term. The Zone has a good tidal current resource and a relatively low wave regime. The Zone comprises of 35km² and is generally based around the promontory of Holy Island. It is this geographical feature which leads to the acceleration of flows in this region. The flow will vary across the site with higher levels experienced closer to the North West tip of Holy Island. 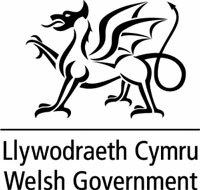 Menter Mônʼs primary motivation for acting as the Third Party Manager for the West Anglesey Demonstration Zone is secure maximum benefit for the economy of Anglesey. The project will involve developing the Zone to accommodate marine technology developers as well as servicing their requirements once they have located on Anglesey. Both elements will require a wide range of services and skills which should be accessed locally whenever possible and practical. Examples of these are provided below however it should be noted that this list is not exhaustive. Menter Môn has delivered business support services in North Wales for over 20 years and is therefore well placed to identify and develop supply chains. It will also to contribute to the wider aim of developing the Island as a renewable energy hub that offers opportunities for a highly skilled workforce that could otherwise leave the area. We will seek to work closely with The Energy Island and Anglesey County Council to achieve this. Menter Mônʼs strength is its long association with the island and its well established links with local stakeholders. For Morlais to succeed it is important that it engages with all stakeholders at each stage of the process. While we will not attempt to provide an exhaustive list at this early stage the key stakeholders will include the fishing industry, the maritime recreational sector, coastal landowners and the business sector. In addition to the general engagement process there will also be a requirement to undertake a detailed Environmental Impact Assessment prior to any works being undertaken in the Zone. This will seek to identify, assess and mitigate the impacts the development could have on the marine and coastal environment.